Recently Qantas introduced a direct flight from San Fransisco to Melbourne on their new Boeing 787-900 aircraft. At 15.5 hours, Flight 50 is a long flight though not as long as their other 787 route Perth to London. Below is my experience with the route in November, 2018. I was flying in first from Seattle on Alaska Airlines. My bag was checked through, but I wanted to see if I could get a better seat. 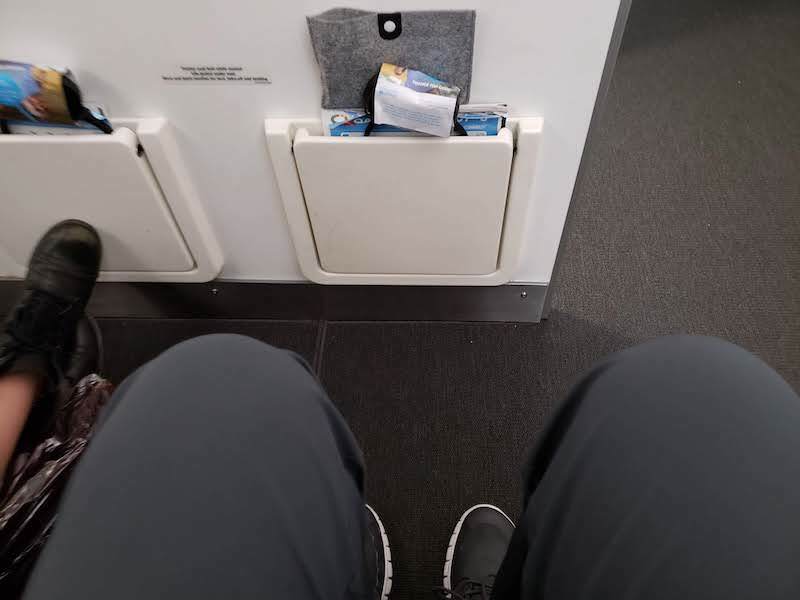 The agent was able to put me on the waitlist for 46F, the bulkhead aisle reserved for passengers traveling with an infant. I would be told closer to departure if I had the seat. 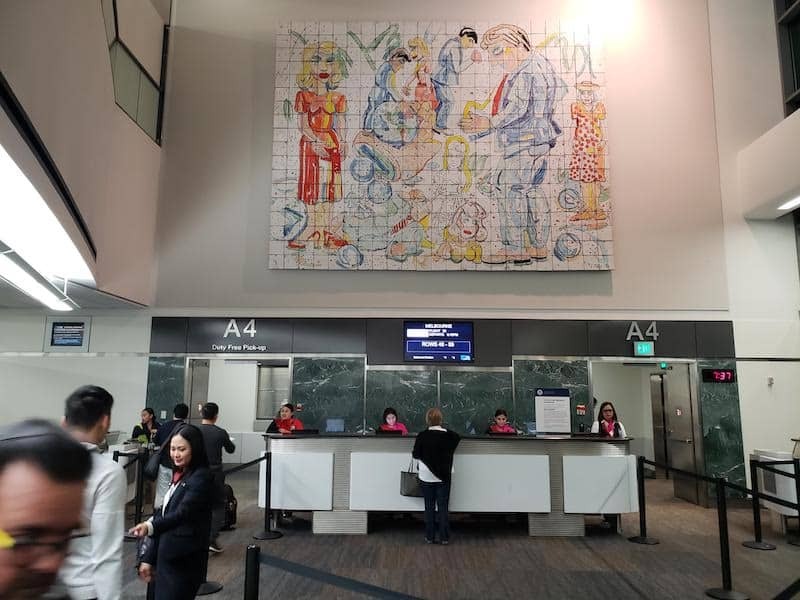 Qantas does not offer TSA Pre√, so prepare to wait in SFO’s slow TSA line. Qantas does not have a lounge at SFO. I used my Priority Pass to visit the underwhelming AirFrance lounge before the flight. 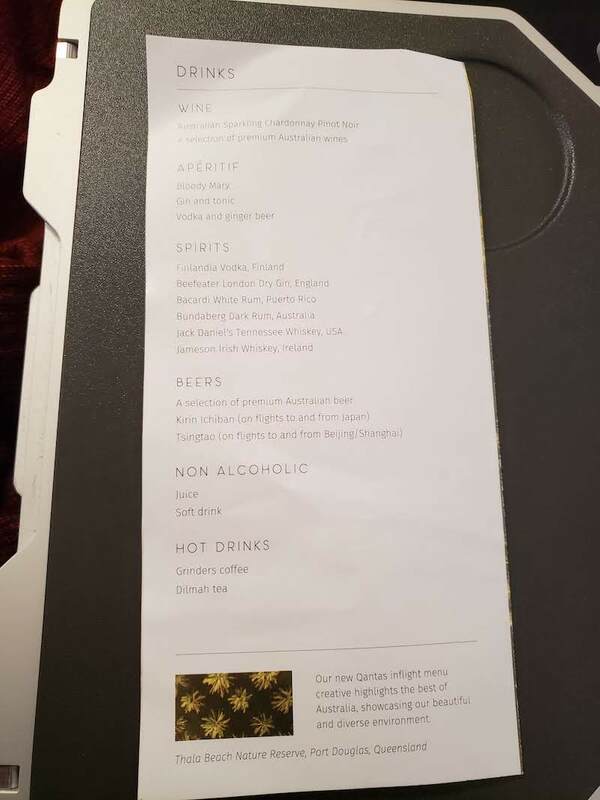 I believe that passengers in Business Class on the flight would have access to the Cathay Pacific lounge (unclear). Boarding began on time from gate A4. I was called up to receive a new boarding pass for seat 46F. 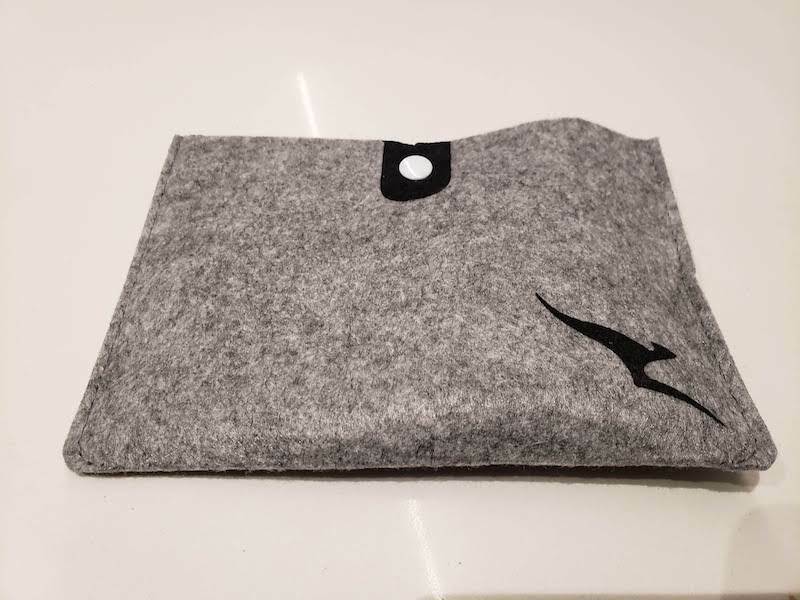 The Qantas 787 is configured with Business Class, Premium Economy, and Economy. 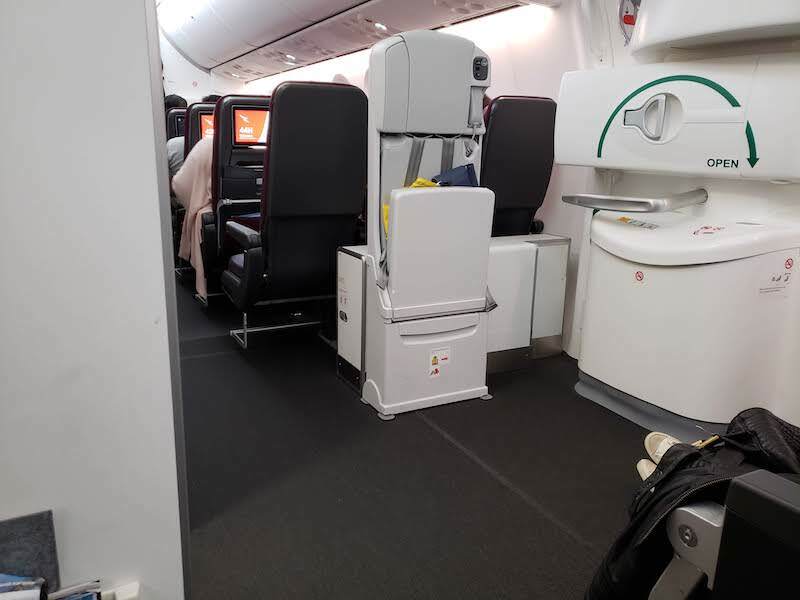 The Economy cabin is split between two cabins. The mini cabin at front is rows 40-44 and the larger cabin, rows 46-59. Most of the Economy cabin is set up in a 3x3x3 configuration. Overall I was surprised how small the plane felt. Row 46 offered a good amount of leg room. 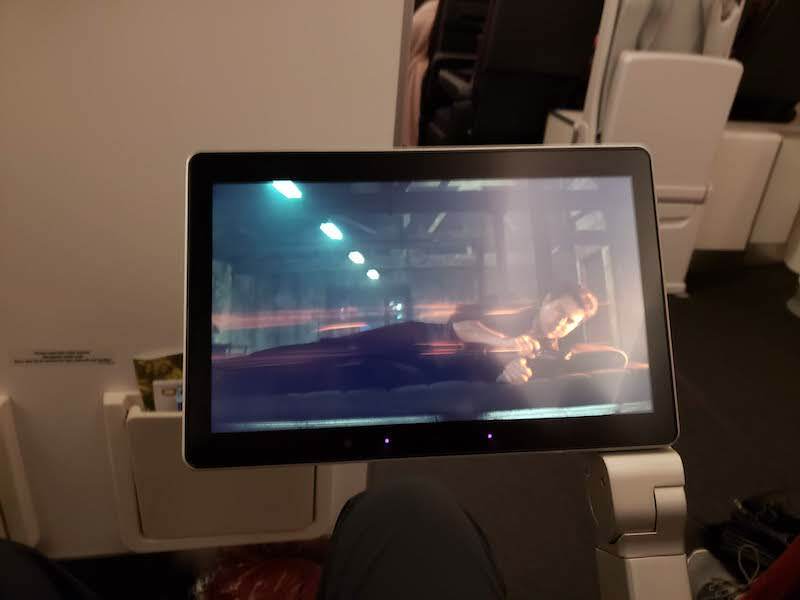 The screen and tray table are in the armrests so the width of the seat is narrower than others. Seats A-C or H-K in row 46 offer a ton of legroom but have the same width issues. The seat recline is 6″. The pitch is 32″. The inflight entertainment screens are huge and very high quality. They felt like large iPads. I had problems getting mine working and it required a hard reset by the flight attendant. 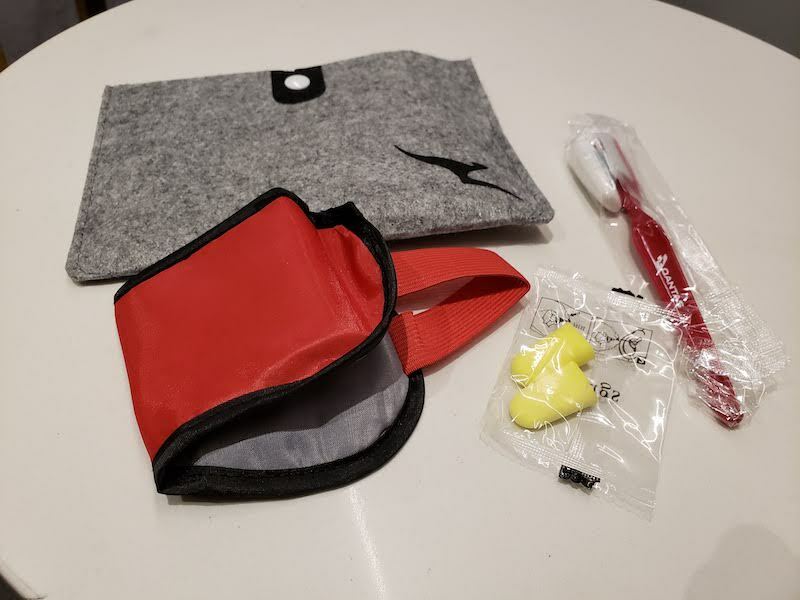 I was surprised that in addition to a pillow and blanket, there was a small amenity kit on each seat. It didn’t have much in it, eye mask, earplugs, and toothbrush, but better than nothing. Menus were handed out for the meal service along with a water bottle. 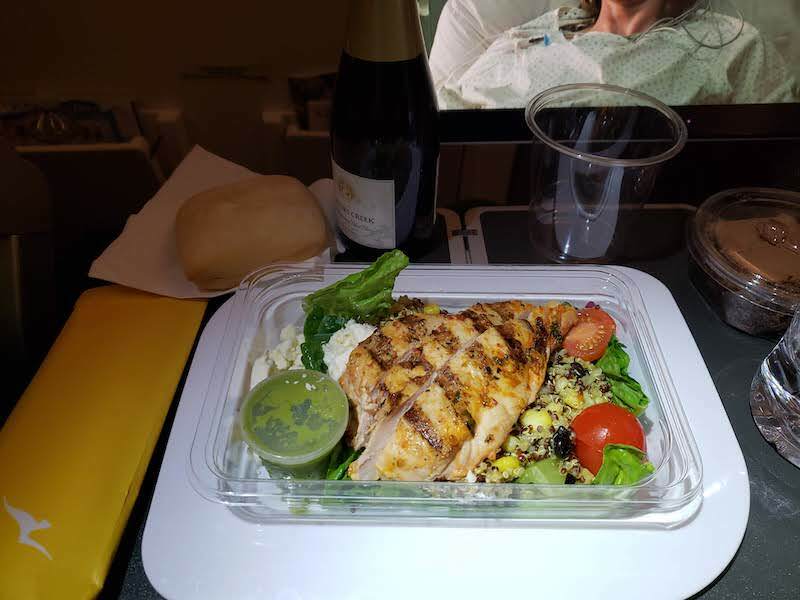 I had pre-ordered the chicken salad and I received my meal prior to the passengers that did not. It was one of the better Economy meals I have had — both tasty and healthy. The mid flight snack was essentially a small calzone. 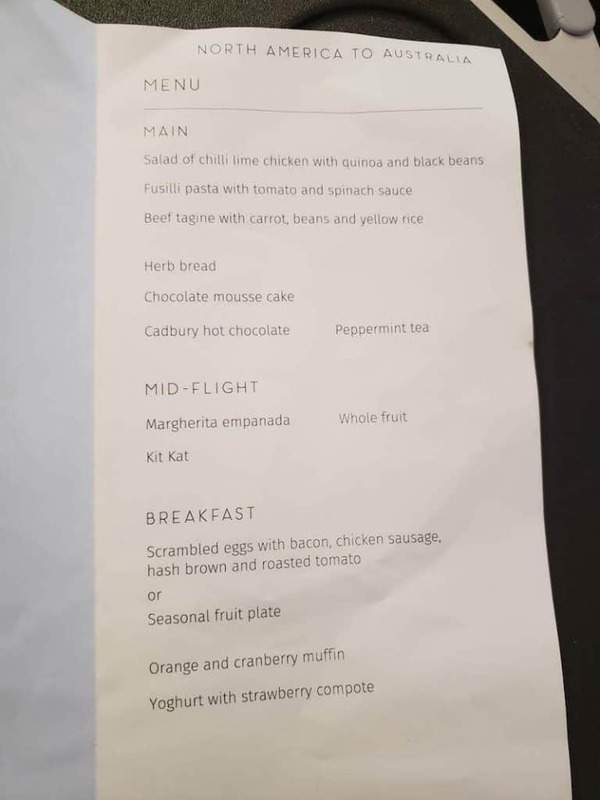 Breakfast was served about an hour before arrival. 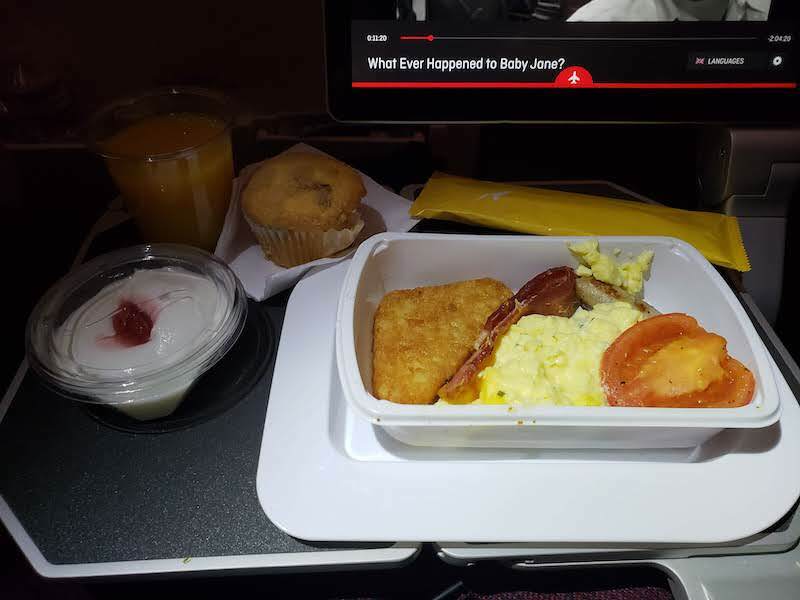 It was a standard airplane breakfast and nothing very impressive. We landed a few minutes early in Melbourne. Despite being over 15 hours, I felt much more rested than on many flights half the length. The higher moisture levels and lower altitude pressure of the 787 is no joke. It really does make a big difference. 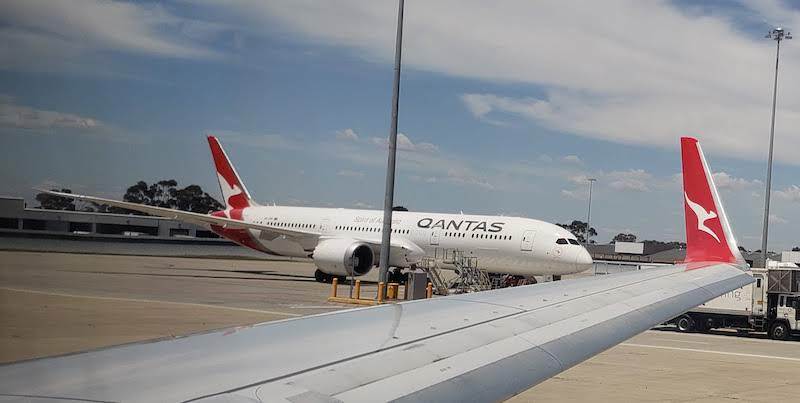 Don’t let the 15+ hour flight scare, you the Qantas flight from SFO to Melbourne is very manageable.